The Institute for Sustainability, Energy, and Environment (iSEE) invites proposals to organize a Critical Conversation during the 2018-19 academic year on a topic that presents a grand societal challenge related to environmental sustainability. Preference will be given to topics of regional significance with international relevance. 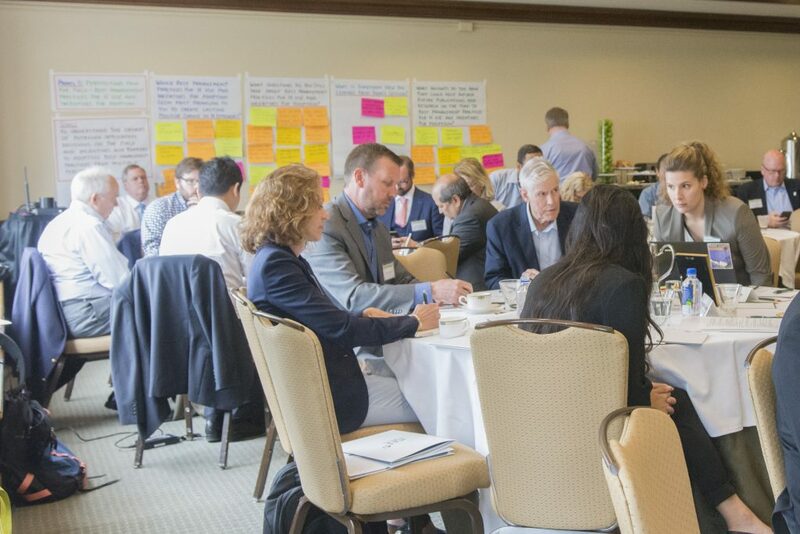 iSEE Critical Conversations are forums for identifying solutions to wicked problems that are difficult to solve because of diverse interest groups, multiple and complex dimensions, uncertainty, and incomplete knowledge of solutions. It involves a facilitated, constructive, and inclusive discourse, under Chatham House rules, among individuals that bring widely differing perspectives on the problem with the goal of developing a research agenda to find effective solutions to address the problem. The proposing team is expected to work closely with iSEE staff, which will provide organizational support to hold the Critical Conversation at the University Club in Chicago. All direct costs for the event will be borne by iSEE — thanks to a generous donation from the Alvin H. Baum Family Fund, administered by Joel Friedman — and iSEE staff members will work with the proposing team to convene organizational meetings, invite participants, and organize the venue, and travel for participants. iSEE will also arrange for an external moderator to facilitate the conversation. the lead faculty member(s) for writing a background brief and the resulting scholarly article and op-ed piece should be identified. To facilitate the conversation, the background brief should be developed a month before the date of the event for circulation to all participants. It should describe the key issues for discussion and identify the major uncertainties and gaps in knowledge and goals for the critical conversation. Proposals may be submitted by an individual faculty member or an interdisciplinary team of faculty at the University of Illinois at Urbana-Champaign. The proposal is due Oct. 15, 2018, via email to Amy Rosenbery at husted@illinois.edu with Critical Conversation in the subject line. All queries should be directed to Madhu Khanna, iSEE Associate Director for Research, at khanna1@illinois.edu. Update: Energy Farm Biomass Boiler!